Our NNEMAP web site is active. We invite our church members to visit http://www.nnemappantry.org/. As we have grown, so has the volume of work at NNEMAP. Scheduling our volunteers, recruiting volunteers, working with companies to bring groups to volunteer is very time consuming. We are working on a job description which will be sent to you when complete. We hope to have the person on board by April 1st. This will be a part time position, and will also work at the pantry with our volunteers, training new ones, and getting needed new information to everyone. If you have candidates, please contact me at director@nnemappantry.org. 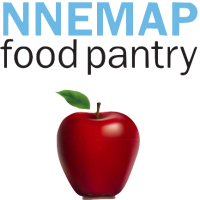 Volunteer Luncheon is planned for Saturday, April 27 at Northwest Christian Church This is the 50th anniversary for NNEMAP. While our luncheons have always been great fun, our Network is making plans to make it a very memorable event. Final plans are not complete, and will be sent to you as they are. We would love any ideas for musical talent for the event. Let us know if you have ideas! We are set for Friday, November 15th at 7:30 for our next benefit concert to be held at Stonybrook United Methodist Church. Our featured talent will be the Columbus Children’s Choir. We have heard tremendous things from those who have heard them. We are very excited. Your Choir Directors will be contacted in the next few weeks for possible participants in this years’ concert!